The first way to find scrabble words is Flashcards. One of the simplest ways to improve your vocabulary is that you should create the flash cards with three or four-letter scrabble words. You can test your memory by combine letters to amount of words you can remember. When you can identify nonsense words, you can see any opponents who try to enter fake words into the puzzles. Another effective way to find scrabble is reading. Reading will help you to earn a big amount of vocabulary. It’s better to expand the sources of your reading. Besides, you read some books which you like and you should read different topics. For example, you can read history books, geography, love stories or tourism books. It’s wonderful when you make your opponent surprised with words from last centuries. What do they do when they face amazing and historic words? Using an online Scrabble word finder is also a good way to find scrabble words. It often contains lists of complete Scrabble words dictionaries. It’s easy for you to know if a word is valid or invalid and see combinations of other words. The next way to find scrabble is playing other word games. You can play words with friends or hangman with friends. 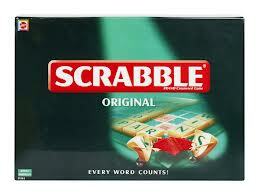 If you often play them, you will learn a lot of vocabulary for Scrabble. Watching documentaries is also a way to find words for scrabble. Movies and documentaries will give you a large vocabulary. They will teach you about the world and many issues in the society. You should watch what you like such ads news, animals, plants and so forth. It had better to take note words which you don’t know. After that, you should use them in daily conversations, which is easy for you to remember. These tips will help you to improve and find words for scrabble. We hope that you will be always the best scrabble player.